Our move is completed – New Absolique Hair Health Clinic Brisbane and now Hair Loss Hairdressers Brisbane, is located at, Suite 5/71 Bradley Street, Spring Hill, Brisbane, Queensland 4000, our phone number remains the same 07 3229 3242 as well as our emails for appointments and product orders reception@absolique.com.au, to contact our Trichologist Brisbane, email Carolyn at info@absolique.com.au. Happy to announce our relocation of New Absolique Hair Health Clinic for our new purpose designed, private Hair Health Clinic now providing new Total Hair and Scalp Care Services, as well as continuing to offer our exclusive Trichology Consultations, Microscopic Diagnosis and Microscopic Tracking Scope Sessions with Absolique Trichologist Brisbane. This new Total Hair and Scalp Care Clinic Brisbane will now be able to offer new services and complete hair and scalp care, which will include traditional yet safe hairdressing services available exclusively for the use by Absolique Hair Health clients with hair loss, hair thinning and scalp concerns in a confidential private environment. 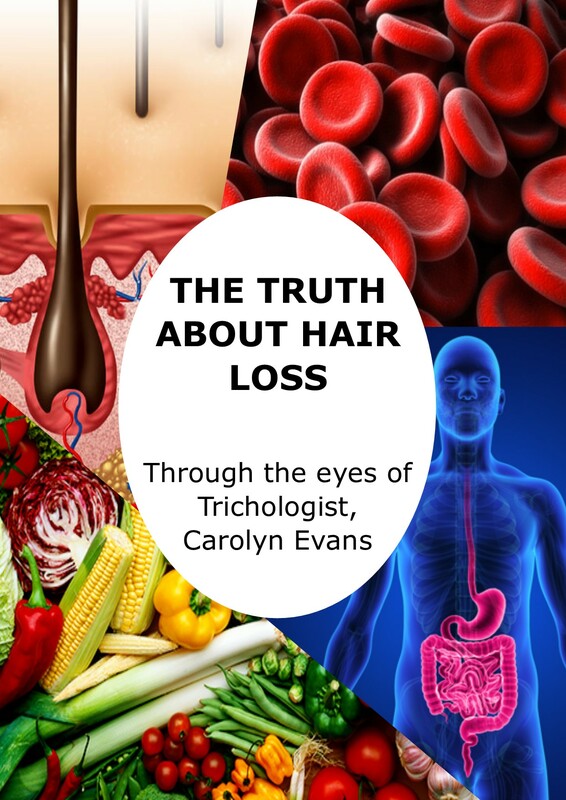 Trichologist Carolyn Evans-Frost at Absolique is the founder, director and has over 30 years experience in the hair industry. 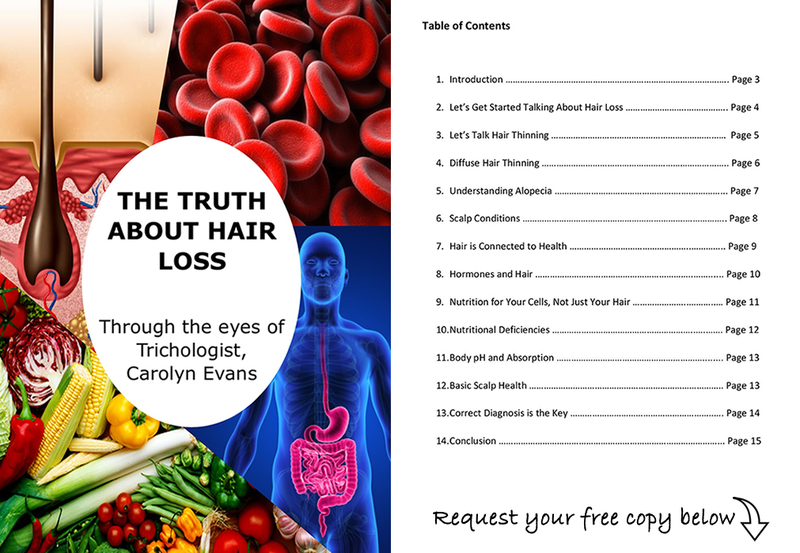 Having varied levels within this industry has proved that a holistic approach to hair health, hair loss, hair thinning, and scalp conditions is essential. While Absolique has been offering consultation and microscopic diagnosis services for 10 years we are now hearing from our clients and followers, the need for somewhere to go for all hair and scalp concerns that is safe and private. Yes we have listened and are proud to present our New Absolique Hair Health Clinic and Total Hair and Scalp Care Clinic services. Respectively Absolique Hair Health Clinic would like to assure you that our new services are only for clients with hair health and scalp concern and our new Total Hair Health and Scalp services are only offered to Absolique existing and new clients who have or are willing to undertake microscopic diagnosis first. With having a microscopic diagnosis this is what will set us apart because we will have the knowledge of your individual hair or scalp concerns to offer only safe services, we will not be offering hairdressing services to the general public. Years in the making and months in the planning this is an exciting new venture here at Absolique Hair Health Clinic Brisbane. Feel free to check out our New Clinic online, as services are by appointment only to respect all our client’s privacy and confidentiality. For more information or any questions about our new services, please call reception at 07 3229 3242 or email Absolique Trichologist Brisbane at info@absolique.com.au to book a complimentary 15 minute in clinic or phone consultation to see how our new services could help you on your journey with hair loss, hair thinning or scalp conditions. Keep an eye out for our new Grand Opening Specials in your emails. Updated parking and public transport information as well as all of our new services are on our Absolique Brisbane website https://www.brisbanehairloss.com.au/ . Our valued existing clients who like to drop in and say hello and to pick up product, we will need to know a little more in advance because we are changing our stock storage system, if you call or email ahead to place your order, we will be sure to have it ready for you in reception to pick up at your convenience. 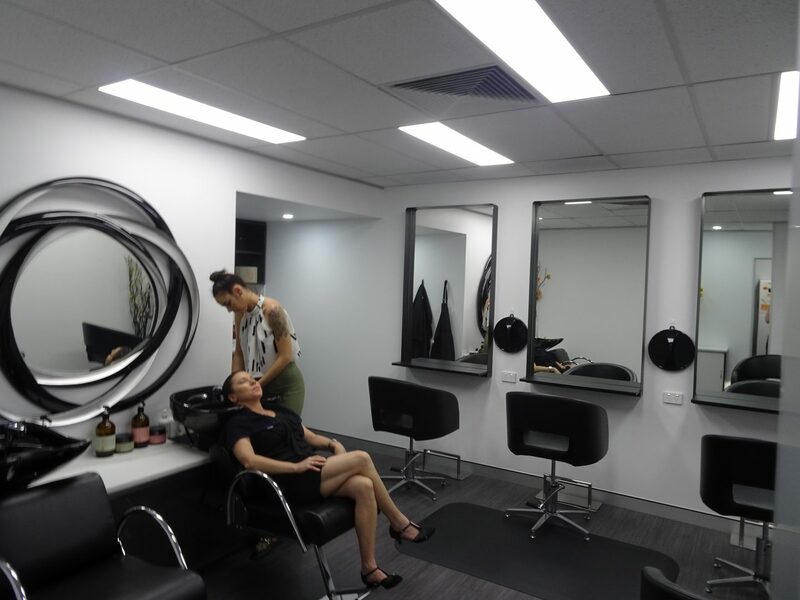 We look forward to seeing you in our New Absolique Brisbane Clinic and helping you along your personal hair health and scalp journey whether you’re new or an existing client. For more information about Hair Loss Hairdressers Brisbane, Absolique Hair Health Clinic, New Absolique Hair Health Clinic Brisbane – Total Hair and Scalp Care, please call or email at any of the above mentioned.